I have always had a profound disinterest in money. I have always found it boring. Disinterest and boredom on a subject are inevitably linked with inaction in the managing of it. However, when my husband died, I had to manage my own finances whether I like it or not. 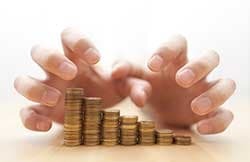 To my delight, I discovered that managing money is no different from managing anything. It needs information and knowledge, research and critical/creative thinking. From being an academic to a money manager is a very big jump even with a lot of help from my brother. Nevertheless, it is a process. A journey of learning. As such, I discover a few things. Firstly, what you don’t know about money, there are experts out there who do know. You hire people who do know, for example, book keepers, accountants, financial advisors, bankers, loan brokers, etc. You will learn from these people but only what is in their heads. In short, content and skills. In addition, you need to ask Google. This is still just information you are gathering in regards to the topic of money. Yes, this is the research stage before we send our students out to do field work. However, after all is said and done in this learning stage sprinkled with new terminology such as concepts, theories and hypotheses, the most important skill you need is communication. Yes, communicating effectively with the people I am engaged with in this process of money management is how to listen and speak effectively with them. Sounds simple? No, effective communication skills are never simple. Why? Because we are dealing with people and people are complex. For me, when dealing with these money experts, I have to establish whether I can work with them or not. Now, this is a principle that is applicable to all situations and relationships in life. For example, if you studying Chinese, you have to figure out whether you can work with your teacher or not to achieve results. Finding out this takes time. Time for meetings and testing out different teachers and classes. You need time to listen and to ask questions. Time to establish trust. So when we think Chinese are good at money, it is a stereotype because I know many Chinese who is lousy with money. Why? Because they are ineffective communicators. They are so busy making money, counting their pennies, being frugal to the point of being mean (and boring), that they can easily forget how to form meaningful relationships. Forming meaningful relationships is the foundation of guanxi, the Chinese networking. This is an art in itself. It is also the critical first step to making wealth rather than money. Chinese and money do not go together like a horse and carriage as the song says. Learning the art of guanxi & how to be an authentic friend does. 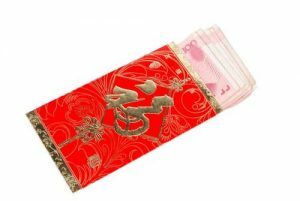 An effective guanxi and money in the form of hong bao does go together during important festive Chinese seasons like Chinese New Year. Hong bao’s are red packets/envelopes of money given as gifts to wish good luck. Apart from Chinese New Year, birthdays and anniversaries, companies’ opening days, etc. are also occasions for giving hong bao’s. In remembering gifts for each other, family and friendship ties are further strengthened, “face” is given and reciprocity is acknowledged, all these make for good guanxi. This constant exchange of hong bao, between old and young, families and friends and business acquaintances may be responsible for fostering the stereotype of us Chinese being good at money making. This is a myth. We are good at connecting and that is the basis of guanxi: connecting people, forming a cobweb of duties and obligations. Money is more practical than giving physical things because it is easily transacted and based on trust between two or more people. This trust is the basic foundation for guanxi. Merry Christmas, students, teachers, friends, and fans! Previous Previous post: SOCIAL SKILLS – JOBS OF THE FUTURE?